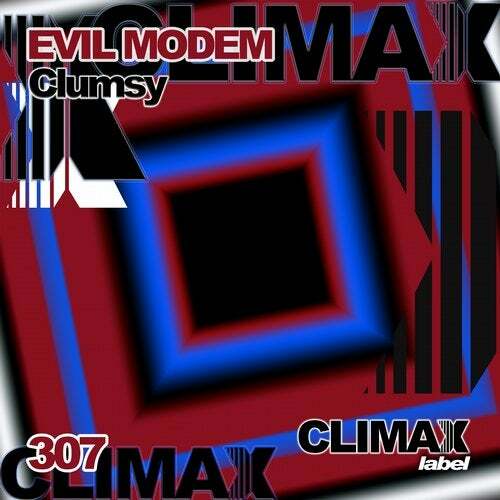 Evil Modem presents the release 307 in Climax Label. A hardtechno ep with 6 strong Techno tracks. Clumsy, is a very hard tune with a very characteristic melodic bass. Some lines of track with very exaggerated open hats. A tune very dark, sounds of rims and percussions very accomplished. Boom, is a theme with some very accomplished futuristic sounds, hats and rides wide. Metal sound with many instruments and boxes, rims very characteristic. Chancellor, is a theme with a very characteristic sound low, open hats, some breaks very sharp, strong theme. Techno sound. Coffee, has a very loud sound, with rides hats opened and strongs. Very powerful theme, very hard tune. Schwer, has strong low, hard percussions and open lines of hats, metal sounds and powerful hard techno bass synth line, hard track. Skjult, this track has very strong drums, rides very marked, hard techno tune. Powerful bass line. Influnces from industrial techno. Release 307 in Climax Label. Evil Modem.